Are you planning a trip? Are you familiar with the routes to reach the destination? If not, it will be difficult for you to find out the hotels, nearby attractions and others. Thanks to the smartphones which make our life easier with apps and modern features. We can install GPS and navigation apps to get location details, traffic updates and track any other related information. Google Maps is the most popular app in the category. Apart from that, there are a plenty of apps available which will work as a perfect tour guide on your Android. 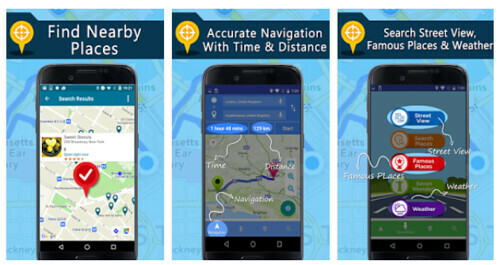 In this post, we bring the best GPS and navigation apps for your Android devices. It is a great companion for the travelers. 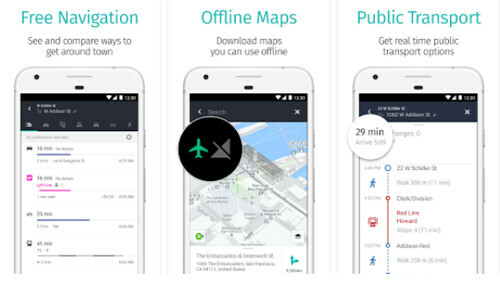 Offline Maps & Navigation app offers maps of all countries in the world with offline support, regular updates, voice guide, traffic updates etc. It also features millions of interesting places to explore. So you can quickly find a historical monument, museum, beach right from the smartphone screen. Advanced safety feature is another advantage of the app. It will warn you when the vehicle breaks the current speed limit and guide you into the correct lane via dynamic lane assistant. Dashcam automatically records the video of the road ahead and it will be useful for you in case of an accident. 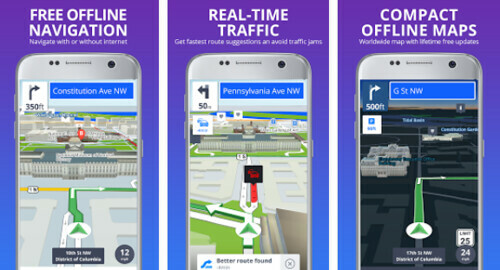 Waze is not just a navigation app, it also provides real-time alerts about traffic, police, roadworks and more in real-time. The app is simple, faster that analyze live traffic data and lets you know when you will arrive at the destination. 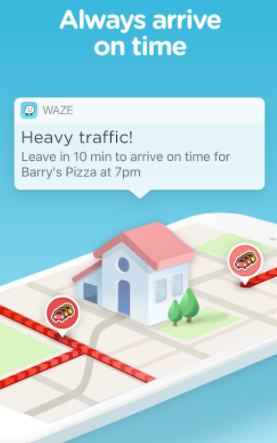 Do you know what’s Waze’s another important feature to save the money? Fuel price information. It will find the cheapest fuel price throughout the route and allows you to plan fueling according to that. This is a popular GPS route tracker for Android. It comes with voice directions, panorama 360-degree street view images to find nearby locations, traffic map etc. Whether you are driving or using public transport system- HERE WeGo is the best option to get every information you want. It provides accurate information about routes, bus ticket prices, subway, taxi fares, traffic and more. HERE has detailed info for more than 1300 cities around the world including New York, London, Berlin, Paris, Madrid, Rome, Toronto, Sydney etc. 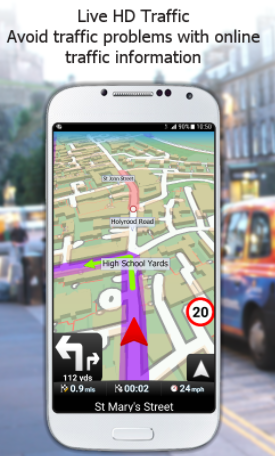 MapFactor is a free offline GPS navigation app for Android. Maps will be updated at regular intervals and save on your device or SD card for offline access.